Kershaw, Linda; Andy MacKinnon; Jim Pojar. Plants of the Rocky Mountains Lone Pine Publishing. 1998. Phillips, Wayne. Central Rocky Mountain Wildflowers. The Globe Pequot Press. 1999. Phillips, Wayne. Northern Rocky Mountain Wildflowers. The Globe Pequot Press. 2001. Schiemann, Donald Anthony. Wildflowers of Montana. Mountain Press Publishing Company, Missoula, Montana. 2005. Schreier, Carl. 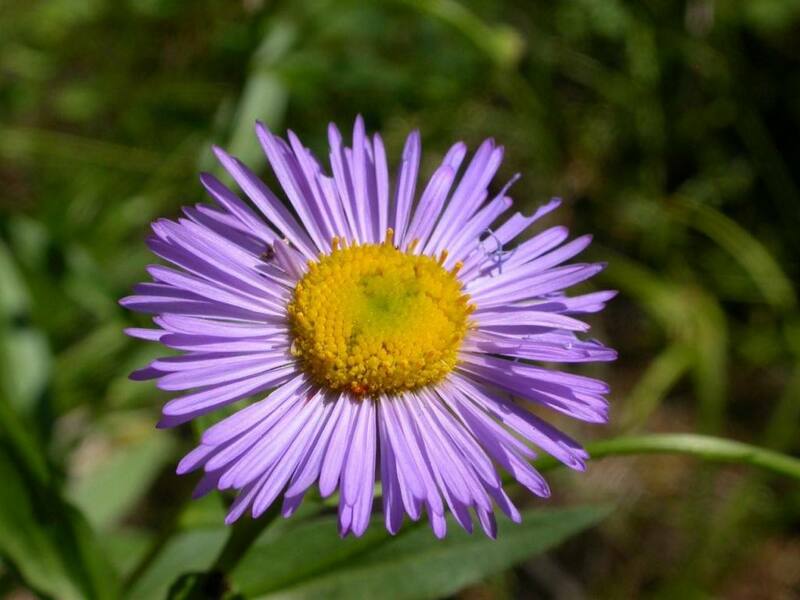 A Field Guide to Wildflowers of the Rocky Mountains. Homestead Publishing, Moose, Wyoming. 1996. Stone, Robert. Day Hikes Around Bozeman, Montana. 3rd Edition. Day Hike Books, Inc., Red Lodge, Montana. 2007. Photos on this page (top to bottom): Showy Fleabane Daisy Click to enlarge.